Do you read short stories and/or flash fiction stories? If not, there are many reasons why you should. In the following post I will try to mention the most important ones. Short stories and flash fiction stories provide tight, well-structured plots. Because of the limited word count, the authors have to write a story that will focus only on what is really important, avoiding rambling and filler scenes that don’t really add anything. In short stories and flash fiction stories the pace is always fast. The authors have to go from point A to point B to point C really fast, because there is a limited word count. Fast pace keeps suspense alive and readers on the edge of their seats, making reading far more enjoyable. Flash fiction stories and short stories end fast. It takes minutes or hours for readers to finish a story or an anthology. For readers that get bored fast, have a short attention span, or limited free time, flash fiction stories and short stories are the ideal reads. Plus, if you travel for work or are chained to your desk for lunch, they’re the perfect bite-sized entertainment! Because of the fact that it takes maximum a few hours to finish a short story or flash fiction story, readers can read more than one story at a time. I have tried it and it works for me like a charm! The way this usually goes is I can start reading a story on the bus, drop it to read another story while I am at the cafeteria, then start reading the previous story on my way home, and even starting a third story before going to bed! I find this much more interesting than waiting to finish a story before I start a new one. By reading several stories at the same time, I broaden my horizons, get inspired more, entertain myself more and read more! Short stories and flash fiction stories are cheaper than novels and it makes sense (a story of 40 pages can’t cost as much as a novel of 400 pages). For those who are short on cash, flash fiction stories and short stories are excellent choices (quality is not sacrificed in the least). For authors who dream of writing a novel, short stories and flash fiction stories are great exercises they should try. My rule of thumb is (and I say that to every author I know) never try writing a novel before having tried writing several short stories and/or flash fiction stories first. Shorter stories will teach you how to stick to what is really important, avoid rambling, keep a fast pace and how will you learn to write like that? By reading lots and lots of flash fiction stories and short stories. 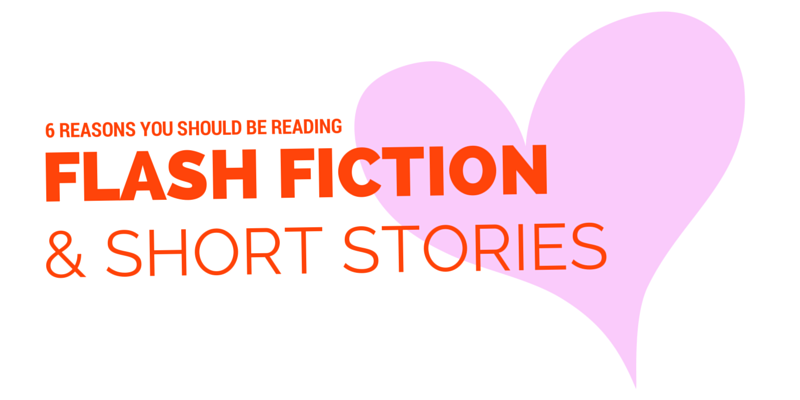 With so many reasons to read short stories and flash fiction stories, what are you waiting for? I like reading short stories as much as I like writing them. I like the pace and how techniques normally used in novels applied to short stories. I hope to write anthologies of short stories. Or combine short stories into a novel.